by Teresita A. 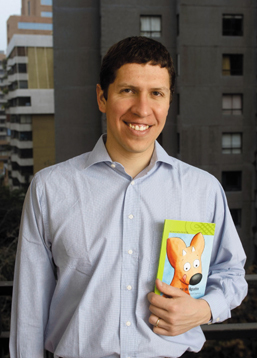 - 7:03 p.m.
¿Cómo era tu relación con los libros cuando eras niño? / When you were a kid, how was your relationship with with books? De voraz intimidad. Me concentraba muchísimo. Leía apoyado en la estufa a parafina. En el colegio teníamos una biblioteca de aula con una serie de libros de diversos temas. Al poco tiempo me los había terminado todos. Había que hacer una breve composición y un dibujo, principalmente para certificar que en verdad uno se los había leído a conciencia. Leía en el baño, leía en la cama, leía en el living de mi casa, que era particularmente silencioso. 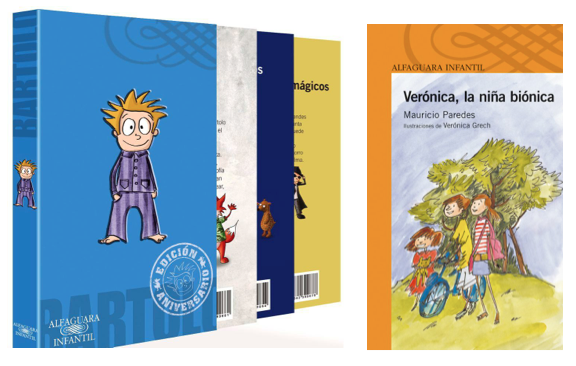 Y siempre, siempre, cuando leía, pensaba en escribir, en cómo yo habría inventado la historia que tenía frente a mí o simplemente dejaba que mi fantasía divagara, produciéndose un estado de lectura creativa, en donde posteriormente escribía. Of voracious intimacy. I used to focus a lot. I read leaned by the paraffin heater. At school we had a classroom library with a series of books on various topics. Not so far on the way I had finished them all. We had to do a short essay and drawing about them, primarily to certify that we had read them thoroughly. I read in the bathroom, read in bed, read in the living room of my house, which was particularly quiet. And always, always, when I read, I thought about writing, how I would have told the story in front of me or just let my imagination wander, producing a state of creative reading, after which I wrote. 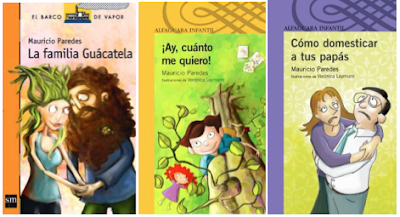 ¿Cuál fue el primer personaje literario que inventaste y a cuál le tienes más cariño? / Which was the first literary character you created,and which one do you love the most? Bartolo fue el primero y por eso mismo le tengo un cariño y agradecimiento muy grandes. A la que le tengo más cariño es a Verónica la niña biónica. Me encanta su forma de ser, acelerada y entusiasta al máximo. Bartolo was the first one and that's why I'm very fond of him and I'm grateful too. The one I cherish the most is Veronica the bionic girl. I like her personality, accelerated and enthusiastic to the max. Acaba de ver la luz Tincuda, ¿de dónde viene y hacia dónde va esta comadrejita trompuda? / Tincuda just saw the sun, where does this little weasel come from and where is she going? 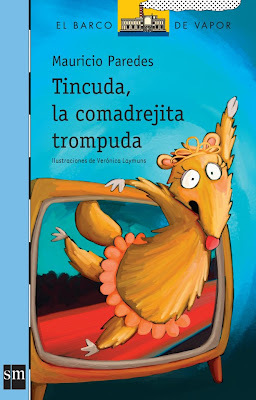 Tincuda la comadrejita trompuda es una parodia y una crítica al mundo de la televisión. Las comadrejitas trompudas son marsupiales chilenos, pero nadie los toma en cuenta, casi no hay registro. Por eso hice que Tincuda estuviera indignada, por este atroz "ninguneo" y porque sus papás no le ponen atención porque están todo el día y la noche viendo televisión. Entonces, precisamente, decide que la solución es ser una famosa de la televisión y así es como busca sus 15 minutos de fama. Tincuda the little trunky weasel is a parody and a critique about the world of television. The Chilean comadrejitas trompudas are marsupials, but no one takes them into account, there is almost no record of them. So I made Tincuda totally outraged by this appalling "belittling" and also because their parents didn't pay enough attention to her, since they were all day and night watching TV. Then, she decides that the solution to her problems is to be a TV celebrity and she starts looking for her 15 minutes of fame. ¿Cómo es el escritorio donde escribes? / How is the office where you write? 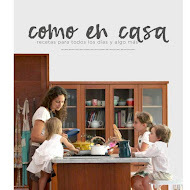 Es una pieza bastante independiente de la casa, que da a un pequeño patio interior. Es la llamada "pieza de servicio", así que tengo baño. 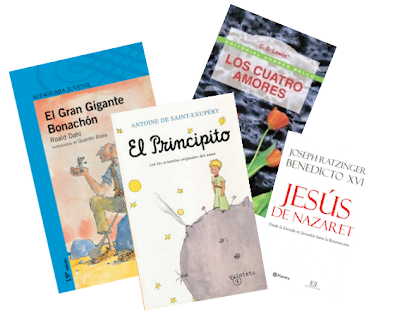 Tengo un montón de libros, pero hay muchos que no caben y están repartidos por toda la casa. Tengo dos escritorios, uno donde trabajo yo y otro donde, a veces, viene a dibujar mi hija. También uso ese escritorio para alejarme del computador un rato. Quizás podría poner un muñeco inflable para así tener un compañero de trabajo. Tengo un notebook con Windows XP y una pantalla LED grande, para ver la hoja completa, porque cuando escribo, uso Word en modo de pantalla completa, es decir, nada más que la página en blanco, que me fascina. It's a room quite appart from the house, which overlooks a small courtyard. It's what is called here 2the service room2, so I have my own restroom. I have a lot of books, but they are so many that they don't fit in and are scattered throughout the house. I have two desks, one where I work and one where, sometimes, my daughter comes to draw. I also use that desk to get away from the computer for a while. Perhaps I could put an inflatable buddy inside to have a co-worker. I have a notebook with Windows XP and a large LED screen, to be able to see the entire sheet, because when I write, I use Word in full-screen mode, nothing but the blank page, I like that very much. Si tuvieras la posibilidad de hablar con el autor que más admiras, ¿qué le dirías? / If you could talk with the author you admire the most, what would you say? A C.S. Lewis le pediría que me dijera no una conferencia, sino que de hombre a hombre, cuáles fueron sus sentimientos hacia Dios frente al dolor. Me gustaría saber cómo llevó su rabia y enojo cuando se vio enfrentado al sufrimiento. I would ask C.S. Lewis to tell me, not in a conference, but man to man, which were his feelings towards God and grief. I would like to know how did he handle his rage and anger while confronted with suffering. Gracias, Mauricio!! 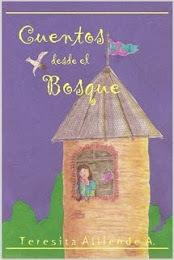 Y feliz mes del libro! / Thanks, Mauricio!! And happy Book's Month! Todos a leer! / Now, to read!! 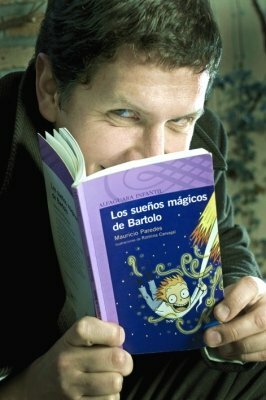 Nos encanta Bartolo!! Sobre todo con los enfermos mágicos. Saludos!